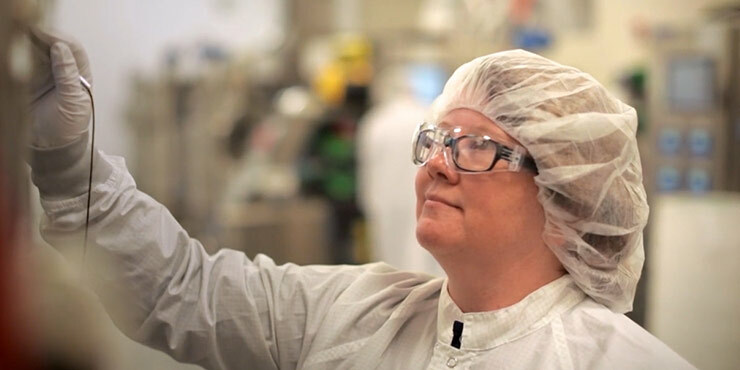 The Senior Packaging Engineer is responsible for the design, development, testing, coordination, implementation, and maintenance of secondary and tertiary global packaging solutions for clinical and commercial products, both small and large molecule. S/he applies extensive theoretical, technical, and cross-functional expertise to independently address complex problems to complete assigned projects under limited direction. S/he is a key member on project teams to deliver high-quality packaging on schedule, which meets customer, business, technical and regulatory needs. S/he promotes standardization and compatibility between in-house and contract packaging facilities. The successful candidate requires effective collaborations with internal and external stakehohlders. Lead on-site implementation of changes and packaging-related launch activities at CMOs. Team leader for technical packaging projects on cross-functional project teams. Evaluate new packaging process or packaging to increase productivity and/or reduce costs without sacrificing quality. Awareness of future trends, process improvements, and new technologies. Communicate and introduce as applicable. Assemble and report department metrics. Lead monthly project reviews meetings. Design, test, and implement secondary, and tertiary packaging components. Write technical reports to support the component selection process. Perform financial analysis to support new or revised packaging proposals. Author SOPs, work procedures, packaging specifications, package design testing protocols, and oversee testing of the packaging components and packaging systems. Identify new packaging suppliers and CMOs as needed. Justify, arrange qualification, and participate in compliance audits as required. Work with and travel to contract sites to jointly develop package systems, batch records, distribution and handling methods, and any activities involved in properly transporting the drug throughout the supply chain. Will be a member of multidisciplinary project teams and be called on to lead teams for tasks that are focused on packaging issues. Present packaging project statuses at project and department meetings.. Apply knowledge of FDA and ISO requirements related to packaging, ensuring robust package verification and approval. Ensure personal understanding of all quality policy/BioMarin system items that are per training curriculums. Create and approve technical artwork specifications. Minimum 4 years as a Packaging Engineer in the Biotech/Pharmaceutical industry with increasing responsibility. Demonstrated initiative; results oriented, initiative to institute changd. BS in Packaging or Mechanical Engineering degree. The Skills and Experience match parameters for the candidate are parsed from the Duties, Skills, and Education.